Impulse Generator are required in high-voltage tests to simulate the stresses due to external and internal over voltages, and also for fundamental investigations of the breakdown mechanisms. They are usually generated by discharging high-voltage capacitors through switching gaps onto a network of resistors and capacitors, whereby voltage multiplier circuits are often used. The peak value of impulse voltages can be determined with the aid of measuring gaps, or better, be measured by electronic circuits combined with voltage dividers. The most important measuring devices for impulse voltage are, however, the cathode-ray oscilloscope and the digital recorder, which allow the complete time characteristic of the voltage to be determined by means of voltage dividers. Impulse currents are rapidly varying transient currents of large amplitude, as a rule, appear in connection with high voltages, namely through the discharge of energy storing devices. They often develop as a consequence of breakdown discharge mechanisms and are frequently accompanied by large forces and high temperatures. If these currents have a definite shape, they are referred to a impulse currents; among other things, these are required for the simulation of lightning and short-circuit currents during tests on service equipment. examples of the specific application of the physical effects of impulse currents are magnetic field coils for the confinement of plasmas, electro-dynamic drives or gaps as impulse radiation sources. The measurement of rapidly varying high currents is usually performed with measuring resistors, or with arrangements which exploit the inductive effect of the current to be measured. 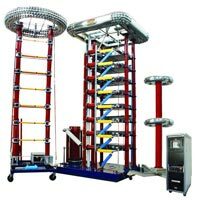 Ours is the prominent name engaged in manufacturing and supplying highly efficient Impulse Generators in suitable 100kV and 200kV per stage modules with energy level ranging from 5 kJ per stage up to 20 kJ per stage. 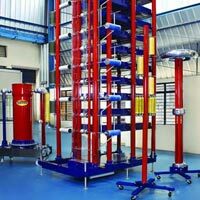 Our Impulse Generators are manufactured under technical know-how from the erstwhile M/s. Passoni & Villa, Italy; leaders in building Impulse Generators. Our 100kV per stage Impulse Generators also have electromagnetic control and our Generators with 200kV per stage have state of the art, unique, pneumatic control system. We make both Current Impulse Generators and Voltage Impulse Generators using high-grade components. Our Impulse Generators are precisely designed to fully satisfy the latest IEC60060 and IS2071 standards to give accurate results, and longer functional life. 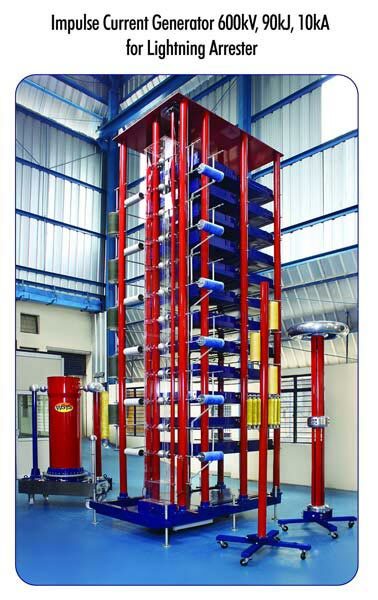 Voltage Impulse Generator is a well-developed set-up that is specifically designed to test the strength of any electric power equipment against lightning as well as switching surges. Our advanced Voltage Impulse Generator is highly appreciated by the clients owing to its flawless functionality and longer functional life.